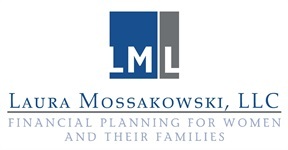 Laura is the founder and President of Laura Mossakowski, LLC. She has built a practice where women and men are welcome and respected. 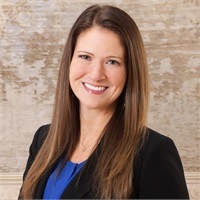 After graduating with a Bachelor degree from the University of Wisconsin – Green Bay in 2001, she began serving the community as a financial planner; assisting clients to work towards maximizing and preserving their wealth. Laura holds the prestigious CERTIFIED FINANCIAL PLANNER ™ designation from the CFP Board of Standards, Inc. Laura is Series 7, 63, and 65 registered (held through LPL Financial) as well as Life, and Accident & Health insurance licensed. 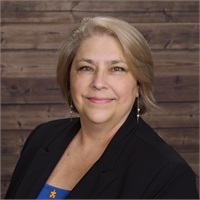 In her spare time, Laura, her husband Pete, their son Eli, and foster daughter Darlene enjoy traveling and outdoor activities, spending time with their extended family and friends, and volunteering in the community. They also enjoy hiking with their rescued dog, Malley, new golden-doodle Annabelle, and cuddling with their cats, Kobe and Picasso. Anita spent the first part of her career as an educator and administrator, and brings her skills of organization and planning to her position as Paraplanner. Anita is Series 7 and 66 registered (held through LPL Financial), as well as Life, and Accident & Health insurance licensed. She works directly with Laura in assisting our clients. Some of her duties include meeting preparation, account opening, and client account management. She is the proud mother of two young men, Jacob and Matthew, and shares her home with her two cats, Paul and Max. In her spare time she enjoys sporting events, walking, biking, working in her yard, playing piano for her church, and spending time with her family and friends. L J has over 15 years' experience in quality customer service and office coordination support. Her detailed organization and prioritization allow smooth functioning of daily office activities. She volunteered 14 years at her parish as a catechism teacher, has some basic knowledge of ASL (American Sign Language), and is interested in learning Polish. L J is an avid rock/gem collector, enjoys everything nature, children's literature, crochet and sewing, and hiking & exploring. L J loves spending time with her 2 adult sons and daughter-in-law, Sean & Ewelina and Austin. Malley, a Goldendoodle that Laura and Pete rescued in 2007, is an integral part of our office family atmosphere. 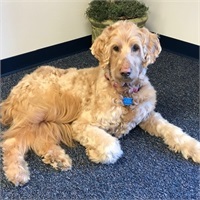 As our client relations specialist her priorities include napping, greeting clients, fetching, napping, car rides, enjoying treats, long walks, and of course napping! She also knows sign language (silent commands), loves playing with Eli (Laura and Pete’s son), and taunting the cats, Kobe and Picasso, when at home. 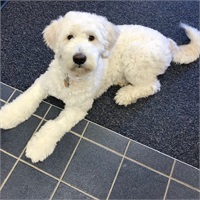 Annabelle “Annie” is a Goldendoodle that Laura and Pete welcomed into their family in 2018, and like Malley, is an integral part of our office family atmosphere. In her position as client relations specialist, she aids Malley in all of her activities, especially in greeting clients and napping. She loves the mellow life while at the office, while her playful side shows up with Eli, and all of the other pets at home.